Anton Page are pleased to have 5-7 Wenlock Road on the market for sale or for rent. Wenlock Road is situated moments from Old Street Roundabout, which is an infamously thriving and vibrant district. The area is immediately surrounded by a variety of cafés, bars, restaurants and hotels attracting an impressive and ever growing list of occupiers. Transport links are excellent with Old Street, Angel and Barbican stations all within walking distance. The space available is self-contained and over ground and lower ground floors, providing open plan office accommodation. 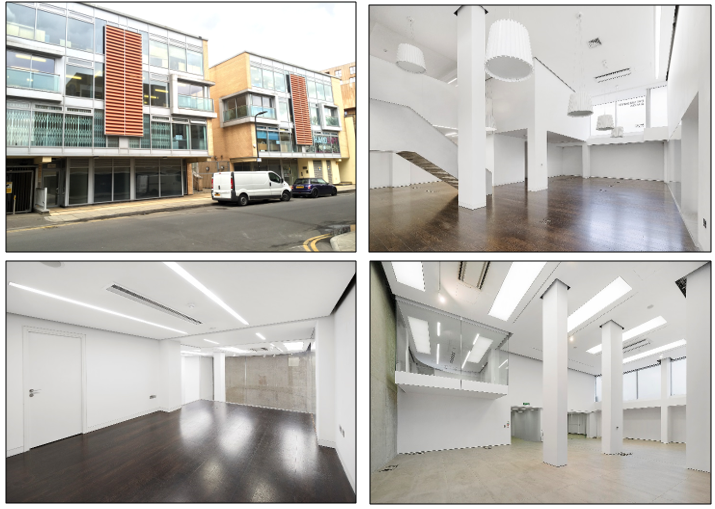 Key features of the space include the excellent levels of natural daylight, the ceiling heights of over 4m, the AC/heating system and the loading shutter from the secure car park where parking spaces are also available. The space is stylish with other ‘cool’ amenities including an interconnecting stair case, part timber – part tile flooring and a fitted kitchen with appliances. Altogether, the space makes for a modern and contemporary office fit for a wide variety of occupiers. It is available now for offers in excess of £4.25 million (to purchase) or £245,000 per annum (to rent).